I don’t have an office, but if I did I would want to dress it up like this coming out of Alt Summit! My second trip to Alt Summit was absolutely fantastic. I can’t say enough good things about the organization and how much they’ve helped me grow as a blogger! 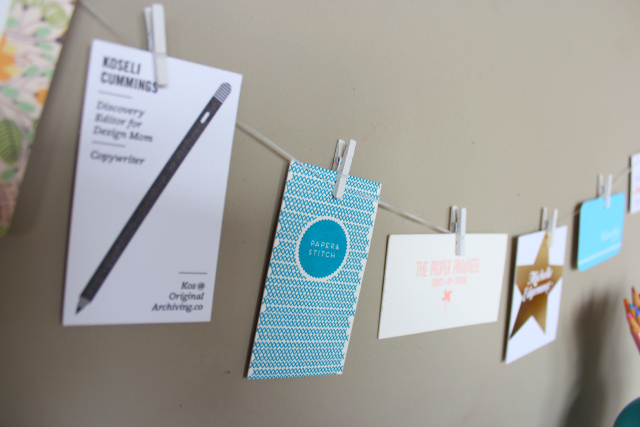 I’ve come back to Chicago with a notebook full of ideas, a long list of new blogging friends and sponsors to follow up with, and of course – these gorgeous business cards. 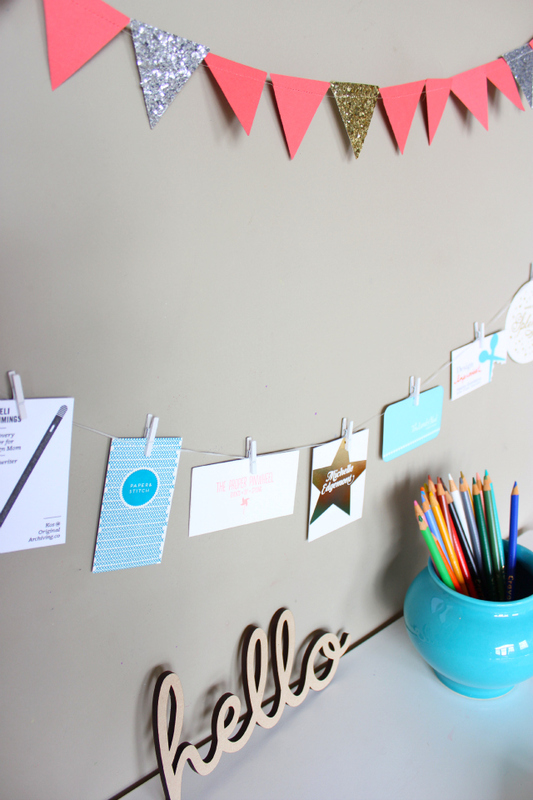 Alt Summit may be the only conference where you can collect business cards beautiful enough to put on display in your home! This little business card garland was inspired by a photo I saw of one of the parties at Alt (which I unfortunately missed) where attendees hung up their business cards similarly. I came away with some other great goodies that would make for awesome decor. 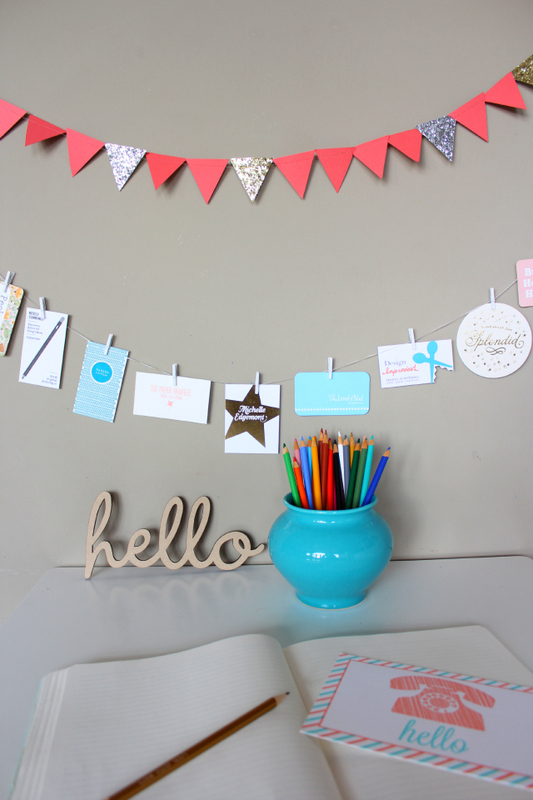 The sweet penant garland is from Lexy at The Proper Pinwheel, the “hello” sign from Say Hello Shop, and the telephone print from Foxtrot Press. Thanks guys!